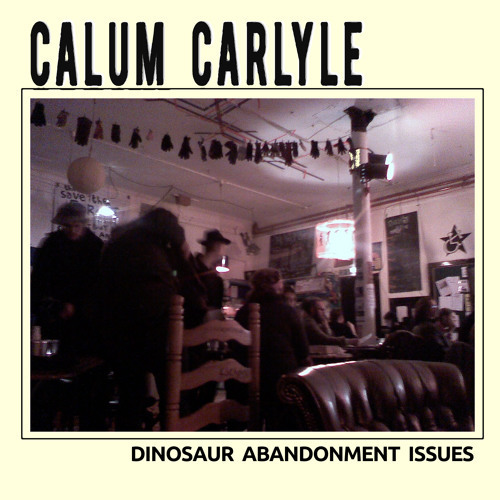 From "Dinosaur Abandonment Issues" available at www.calumsmusic.com Additional production by Joe Campbell-Dawson. I'm gonna go up north where the dinosaur kingdoms are Gonna get me a big T-rex or a stegosaur I'm gonna be the envy of my friends When i bring it home to show them I'll keep him in the yard with the chickens and the rooster too He'll be a riot at parties 'cos he'll know how to play the kazoo I'm gonna be the envy of my friends 'Cos i've got a pet dinosaur, yeah! Don't really know how to catch one Don't really know what they eat But i know i really want to be the first To have a dinosaur on our street So i'm gonna go out and catch a dinosaur today It's gonna be easy or i'm gonna have something to say My friends will say: i wish i had a dinosaur as well yeah I wish i had a dinosaur as well I wish i had a dinosaur as well, know what i mean?